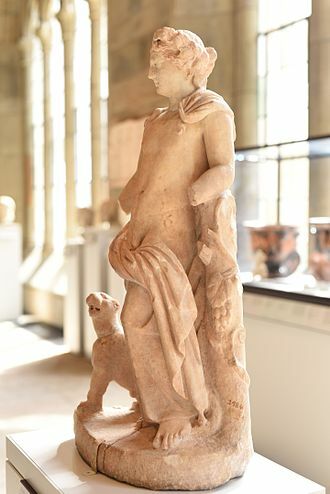 Eudoxus of Cyzicus (/ˈjuːdəksəs/; Greek: Εὔδοξος, Eúdoxos; fl. 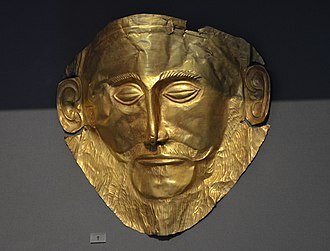 c. 130 BC) was a Greek navigator for Ptolemy VIII, king of the Hellenistic Ptolemaic dynasty in Egypt, who found the wreck of a ship in the Indian Ocean that appeared to have come from Gades (today's Cádiz in Spain), rounding the Cape. 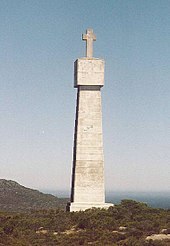 The Portuguese government erected two navigational beacons, Dias Cross and da Gama Cross, to commemorate Vasco da Gama and Bartolomeu Dias as explorers who as mentioned were the first explorers to reach the cape. When lined up, the crosses point to Whittle Rock (34°21′24.63″S 18°28′26.36″E﻿ / ﻿34.3568417°S 18.4739889°E﻿ / -34.3568417; 18.4739889), a large, permanently submerged shipping hazard in False Bay. Two other beacons in Simon's Town provide the intersection. The Cape of Good Hope is at the southern tip of the Cape Peninsula, about 2.3 kilometres (1.4 mi) west and a little south of Cape Point on the south-east corner. Cape Town is about 50 kilometres to the north of the Cape, in Table Bay at the north end of the peninsula. The peninsula forms the western boundary of False Bay. 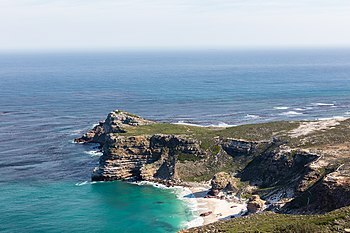 Geologically, the rocks found at the two capes, and indeed over much of the peninsula, are part of the Cape Supergroup, and are formed of the same type of sandstones as Table Mountain itself. Both the Cape of Good Hope and Cape Point offer spectacular scenery; the whole of the southernmost portion of the Cape Peninsula is a wild, rugged, scenic and generally unspoiled national park. The term the Cape has also been used in a wider sense, to indicate the area of the European colony centred on Cape Town, and the later South African province. Since 1994, it has been broken up into three smaller provinces: the Western Cape, Eastern Cape and Northern Cape; parts of the province were also absorbed into the North West. With its diverse habitat, ranging from rocky mountain tops to beaches and open sea, the Cape of Good Hope is home to at least 250 species of birds including one of the two mainland colonies of African penguins. "Bush birds" tend to be rather scarce because of the coarse, scrubby nature of fynbos vegetation. When flowering, however, proteas and ericas attract sunbirds, sugarbirds, and other species in search of nectar. For most of the year, there are more small birds in coastal thicket than in fynbos. The Cape of Good Hope section of Table Mountain National Park is home to several species of antelope. Bontebok and eland are easily seen, and red hartebeest can be seen in the grazing lawns in Smitswinkel Flats. Grey rhebok are less commonly seen and are scarce, but may be observed along the beach hills at Olifantsbos. 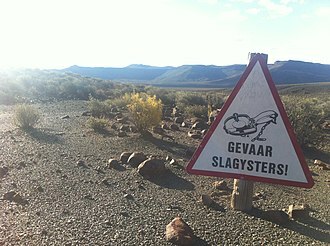 Most visitors are unlikely to ever see either Cape grysbok or klipspringer. The Cape of Good Hope section is home to four Cape mountain zebra. They might be seen by the attentive or lucky visitor, usually in Smitswinkel Flats. There are a wealth of small animals such as lizards, snakes, tortoises and insects. Small mammals include rock hyrax, four-striped grass mouse, water mongoose, Cape clawless otter and fallow deer. The area offers excellent vantage points for whale watching. The southern right whale is the species most likely to be seen in False Bay between June and November. Other species are the humpback whale and Bryde's whale. Seals, dusky dolphins and killer whales have also been seen. The strategic position of the Cape of Good Hope between two major ocean currents, ensures a rich diversity of marine life. 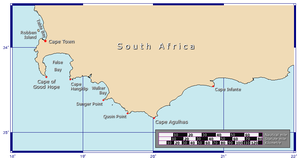 There is a difference between the sea life west of Cape Point and that to the east due to the markedly differing sea temperatures. The South African Marine Living Resources Act is strictly enforced throughout the Table Mountain National Park, and especially in marine protected areas. Disturbance or removal of any marine organisms is strictly prohibited between Schusters Bay and Hoek van Bobbejaan, but is allowed in other areas during season and with relevant permits. Chacma baboons (Papio ursinus) are the mammals most intimately associated with the Cape of Good Hope. Baboons inside the Cape of Good Hope section of the park are a major tourist attraction. There are 11 troops consisting of about 375 individuals throughout the entire Cape Peninsula. Six of these 11 troops either live entirely within the Cape of Good Hope section of the park, or use the section as part of their range. The Cape Point, Kanonkop, Klein Olifantsbos, and Buffels Bay troops live entirely inside the Cape of Good Hope section of the Park. The Groot Olifantsbos and Plateau Road troops range into the park. Chacma baboons are widely distributed across southern Africa and are classified as ″least concern" in the IUCN Red List of Threatened Species. However, the South African Parks Department states in its publication Mountains in the Sea that the baboon population on the Cape is "critically endangered." This is due to habitat loss, genetic isolation, and conflicts with humans. Cape baboons have been eliminated from the majority of their range across the Cape Peninsula, and the Cape of Good Hope section of Table Mountain National Park provides a sanctuary for the troops that live within its boundaries. It provides relative safety from nearby towns, where people have killed many baboons after the baboons raid their houses looking for food. Baboons are also frequently injured or killed outside of the park by cars and by electrocution on power lines. Inside the park, some management policies such as allowing barbecues and picnics in the baboon home ranges cause detriment to the troops, as they become embroiled in conflicts with guests to the park. The Cape of Good Hope is an integral part of the Cape Floristic Kingdom, the smallest but richest of the world's six floral kingdoms. This comprises a treasure trove of 1100 species of indigenous plants, of which a number are endemic (occur naturally nowhere else on earth). The main type of fynbos ("fine bush") vegetation at the Cape of Good Hope is Peninsula Sandstone Fynbos, an endangered vegetation type that is endemic to the Cape Peninsula. Coastal Hangklip Sand Fynbos grows on low-lying alkaline sands and, right by the sea, small patches of Cape Flats Dune Strandveld can be found. Characteristic fynbos plants include proteas, ericas (heath), and restios (reeds). Some of the most striking and well-known members belong to the Proteacae family, of which up to 24 species occur. These include king protea, sugarbush, tree pincushion and golden cone bush (Leucadendron laureolum). Many popular horticultural plants like pelargoniums, freesias, daisies, lilies and irises also have their origins in fynbos. The Cape of Good Hope is the legendary home of The Flying Dutchman. 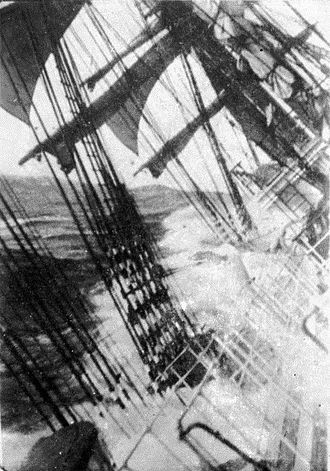 Crewed by tormented and damned ghostly sailors, it is doomed forever to beat its way through the adjacent waters without ever succeeding in rounding the headland. Adamastor is a Greek-type mythological character invented by the Portuguese poet Luís de Camões in his epic poem Os Lusíadas (first printed in 1572), as a symbol of the forces of nature Portuguese navigators had to overcome during their discoveries and more specifically of the dangers Portuguese sailors faced when trying to round the Cape of Storms. ^ Every word in isolation [ˌkaːp də ˌɣudə ˈɦoːp]. ^ "Cape of Good Hope, South Africa - 360° Aerial Panoramas". ^ Sarah Mytton Maury (1848). Englishwoman In America. p. 33. 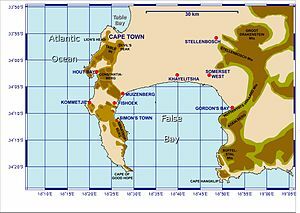 ^ Map of the Park, showing the Cape of Good Hope section (retrieved 27 March 2010). ^ Ehret, Christopher (2001). An African Classical Age. Charlottesville, VA: University of Virginia Press. p. 219. ISBN 0-8139-2057-4. ^ "Peninsula Sandstone Fynbos. Cape Town Biodiversity Factsheets" (PDF). Archived from the original (PDF) on 2011-12-12. 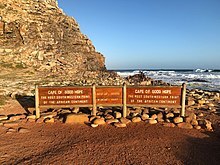 Wikimedia Commons has media related to Cape of Good Hope. Headlands and bays are two related coastal features. Headlands and bays are found on the same coastline. A bay is a body of water, either seawater or fresh water, headlands are characterized by high, breaking waves, rocky shores, intense erosion, and steep sea cliffs. Bays generally have less activity, and often less wind activity than the areas of water outside the bay. Headlands and bays form on discordant coastlines, where the land consists of bands of rock of alternating resistance run perpendicular to the coast. Refraction of waves occurs on headlands concentrating wave energy on them, so many other landforms, such as caves, natural arches, and stacks, form on headlands. Wave energy is directed at angles to the wave crest. 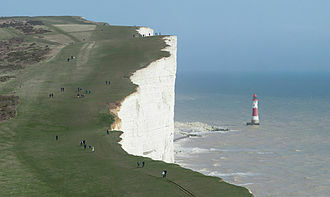 Orthogonals converge on headlands and diverge in bays, which concentrates wave energy on the headlands, in the formation of sea cliffs, wave erosion undercuts the slopes at the shoreline, which retreat landward. This increases the stress in the cliff-forming material and accelerates mass movement. The debris from these landslides collects at the base of the cliff and is removed by the waves, usually during storms. This debris provides sediment, which is transported through longshore current for the nearby bay, joints in the headlands are eroded back to form caves, which erode further to form arches. These gaps eventually collapse and leave tall stacks at the ends of the headlands, eventually these too are eroded by the waves. Wave refraction disperses wave energy through the bay, and along with the effect of the headlands this protects bays from storms. This effect means that the waves reaching the shore in a bay are weaker than the waves reaching the headland, through the deposition of sediment within the bay and the erosion of the headlands, coastlines eventually straighten out. But the process starts all over again. Beaches are dynamic geologic features that can fluctuate between advancement and retreat of sediment, the natural agents of fluctuation include waves, tides and winds. Man-made elements such as the interruption of sediment supply, such as a dam, a headland bay beach can be classified as being in three different states of sedimentation. Ptolemy VIII Euergetes II, nicknamed Physcon, was a king of the Ptolemaic dynasty in Egypt. 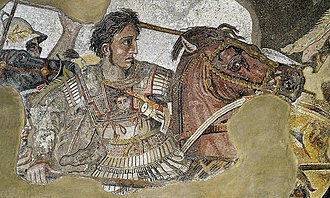 Ptolemy VIIIs complicated political career started in 170 BC and this is when Antiochus IV Epiphanes of the Seleucid Empire invaded and captured King Ptolemy VI Philometor and all of Egypt, with the exception of the city of Alexandria. 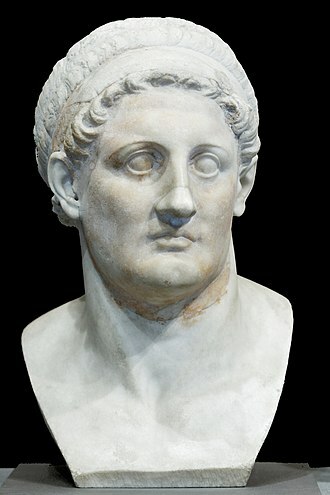 Antiochus allowed Ptolemy VI to continue as a puppet monarch, the people of Alexandria chose Ptolemy Euergetes, his younger brother, as king. Euergetes was popularly known as Physkōn, Latinized as Physcon, meaning sausage, potbelly or bladder, instead of taking up arms against one another, the brothers decided to co-rule Egypt. After Antiochus withdrew from the area in 168 BC due to threats from Rome, Physcon agreed to jointly rule Egypt in a triumvirate with Philometor and Cleopatra II. This arrangement led to continuous intrigues, lasting until October 164 BC, when Philometor traveled to Rome to appear before the Senate, who were somewhat agreeable with the arrangement. However, areas under Physcons sole rule were not satisfied with the arrangement and this left Physcon in charge of Cyrenaica. Although the arrangement lasted until Philometors death in 145 BC, it did not end the power struggles, Physcon convinced the Roman Senate to back his claims on Cyprus, but Philometor opposed this. 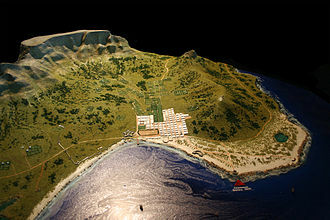 Physcons attempt to conquer the island failed and the Senate sent Philometors ambassadors home, in 156 or 155 BC, Philometor tried to have Physcon assassinated but failed. 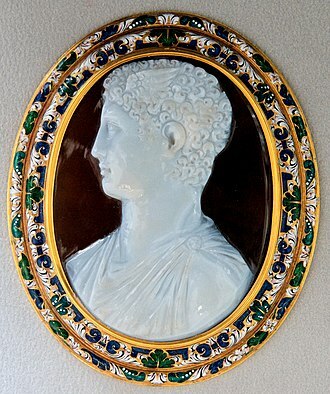 Physcon went to Rome, displaying the scars he had received in the attempt, despite opposition from Cato the Elder, he received the Senates support and further resources for another attempt on Cyprus. 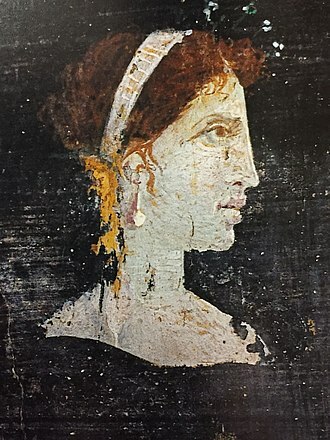 During his time in Rome he met Cornelia Africana, and asked for her hand in marriage, the second attempt on Cyprus failed. Philometor captured and held Physcon prisoner, but spared him, offering him instead the hand of his daughter, Cleopatra Thea, when Philometor died on a campaign in 145 BC, Cleopatra II quickly had her son proclaimed King Ptolemy VII. 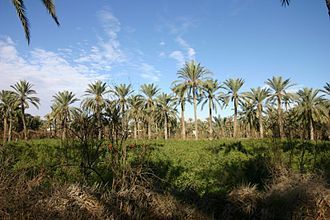 Physcon, returned from battle and proposed joint rule and marriage with Cleopatra II and he had the younger Ptolemy assassinated during the wedding feast and claimed the throne himself, as Ptolemy VIII Euergetes II, and had himself proclaimed pharaoh in 144 BC. In 145 BC, Physcon took his revenge on the intellectuals of Alexandria who had opposed him, including Aristarchus of Samothrace and he engaged in mass purges and expulsions, leaving Alexandria a changed city. 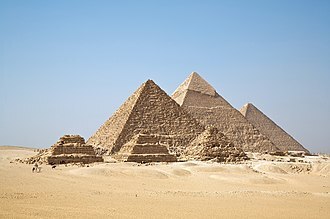 Physcon seduced and married Cleopatra III without divorcing Cleopatra II, who became infuriated, many speculate that Physcon only married Cleopatra II because he was plotting to marry Cleopatra III when she became of marrying age. 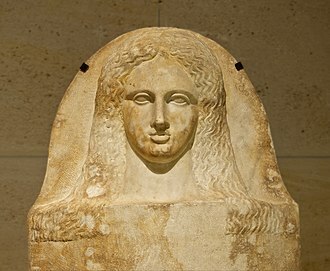 By 132 or 131 BC, the people of Alexandria had rioted, Cleopatra III, and their children escaped to Cyprus, while Cleopatra II had their twelve-year-old son, Ptolemy Memphitis, acclaimed as king. Physcon was able to get hold of the boy, killed him, the ensuing civil war pitted Cleopatras city of Alexandria against the rest of the country, who supported Physcon. Necho II of Egypt was a king of the 26th Dynasty. Necho undertook a number of projects across his kingdom. 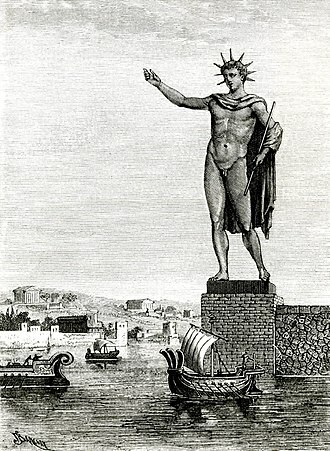 In his reign, according to the Greek historian Herodotus, Necho II sent out an expedition of Phoenicians and his son, Psammetichus II, upon succession may have removed Nechos name from monuments. Necho played a significant role in the histories of the Neo-Assyrian Empire, the Neo-Babylonian Empire, Necho II is most likely the pharaoh mentioned in several books of the Bible. 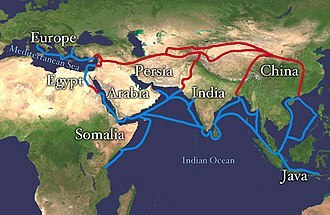 The aim of the second of Nechos campaigns was Asiatic conquest, to contain the Westward advance of the Neo-Babylonian Empire, the Egyptians were defeated by the unexpected attack of the Babylonians and were eventually expelled from Syria. Necho II was the son of Psammetichus I by his Great Royal Wife Mehtenweskhet and his prenomen or royal name Wahem-Ib-Re means Carrying out Heart Re. That once mighty empire was now reduced to the troops and nobles who had gathered around a general holding out at Harran, who had taken the throne name of Ashur-uballit II. Necho attempted to assist this remnant immediately upon his coronation, but the force he sent proved to be too small, in the spring of 609 BC, Necho personally led a sizable force to help the Assyrians. He prepared to cross the ridge of hills which shuts in on the south the great Jezreel Valley and their king, sided with the Babylonians and attempted to block his advance at Megiddo, where a fierce battle was fought and Josiah was killed. Although Necho became the first pharaoh to cross the Euphrates since Thutmose III, he failed to capture Harran, at this point, Ashur-uballit vanished from history, and the Assyrian Empire was conquered by the Babylonians. The Book of Kings states that Necho met King Josiah of the Kingdom of Judah at Megiddo, leaving a sizable force behind, Necho returned to Egypt. On his return march, he found that the Judeans had selected Jehoahaz to succeed his father Josiah and he brought Jehoahaz back to Egypt as his prisoner, where Jehoahaz ended his days. The Book of Chronicles gives an account of his death and he was brought back to Jerusalem to die. Astrology is the study of the movements and relative positions of celestial objects as a means for divining information about human affairs and terrestrial events. Throughout most of its history astrology was considered a tradition and was common in academic circles, often in close relation with astronomy, meteorology. It was present in political circles, and is mentioned in works of literature, from Dante Alighieri and Geoffrey Chaucer to William Shakespeare, Lope de Vega. Astrology thus lost its academic and theoretical standing, and common belief in it has largely declined, Astrology is now recognized to be pseudoscience. The word astrology comes from the early Latin word astrologia, which derives from the Greek ἀστρολογία—from ἄστρον astron, astrologia passed into meaning star-divination with astronomia used for the scientific term. 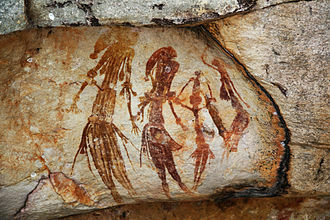 Many cultures have attached importance to astronomical events, and the Indians, the majority of professional astrologers rely on such systems. Astrology has been dated to at least the 2nd millennium BCE, with roots in systems used to predict seasonal shifts. A form of astrology was practised in the first dynasty of Mesopotamia, Chinese astrology was elaborated in the Zhou dynasty. 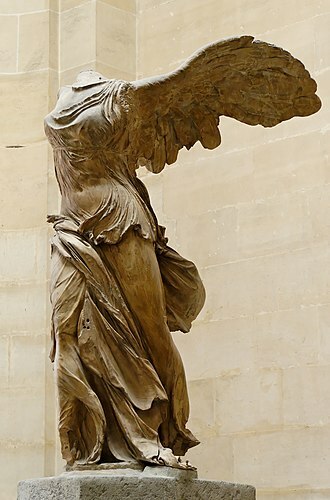 Hellenistic astrology after 332 BCE mixed Babylonian astrology with Egyptian Decanic astrology in Alexandria, Alexander the Greats conquest of Asia allowed astrology to spread to Ancient Greece and Rome. In Rome, astrology was associated with Chaldean wisdom, after the conquest of Alexandria in the 7th century, astrology was taken up by Islamic scholars, and Hellenistic texts were translated into Arabic and Persian. In the 12th century, Arabic texts were imported to Europe, major astronomers including Tycho Brahe, Johannes Kepler and Galileo practised as court astrologers. Astrological references appear in literature in the works of such as Dante Alighieri and Geoffrey Chaucer. 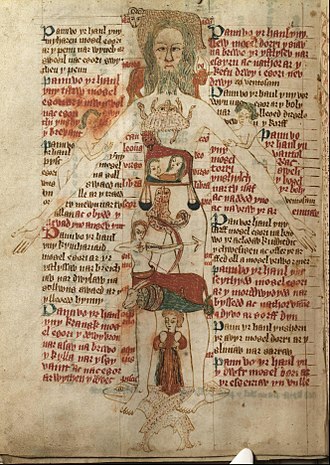 Throughout most of its history, astrology was considered a scholarly tradition and it was accepted in political and academic contexts, and was connected with other studies, such as astronomy, alchemy and medicine. The Cape of Good Hope, known as the Cape Colony, was a British colony in present-day South Africa and Namibia, named after the Cape of Good Hope. The British colony was preceded by an earlier Dutch colony of the same name, the Dutch lost the colony to Britain following the 1795 Battle of Muizenberg, but had it returned following the 1802 Peace of Amiens. 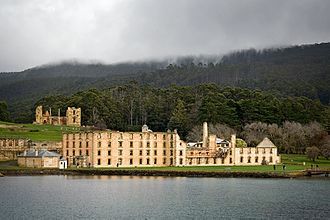 It was re-occupied by the British following the Battle of Blaauwberg in 1806, the Cape of Good Hope remained in the British Empire, becoming self-governing in 1872, and uniting with three other colonies to form the Union of South Africa in 1910. It was renamed the Cape of Good Hope Province, South Africa became fully independent in 1931 by the Statute of Westminster. In the north, the Orange River, known as the Gariep River, served as the boundary for some time, from 1878, the colony included the enclave of Walvis Bay and the Penguin Islands, both in what is now Namibia. 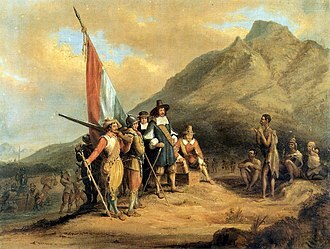 An expedition of the Dutch East India Company led by Jan van Riebeeck established a trading post, van Riebeecks objective was to secure a harbour of refuge for Dutch ships during the long voyages between Europe and Asia. Reflecting the multi-national nature of the trading companies, the Dutch granted vrijburger status to a number of former Scandinavian and German employees as well. In 1688 they sponsored the immigration of two hundred French Huguenot refugees who had fled to the Netherlands upon the Edict of Fontainebleau. There was a degree of assimilation due to intermarriage. 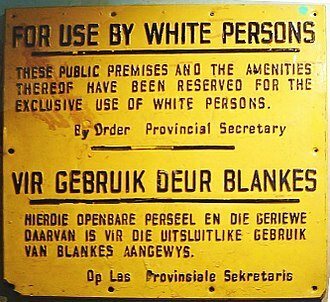 Many of the colonists who settled directly on the frontier became increasingly independent, known as Boers, they migrated westwards beyond the Cape Colonys initial borders and had soon penetrated almost a thousand kilometres inland. Some Boers even adopted a nomadic lifestyle permanently and were denoted as trekboers, Dutch traders imported thousands of slaves to the Cape of Good Hope from the Dutch East Indies and other parts of Africa. By the end of the century the Capes population swelled to about 26,000 people of European descent and 30,000 slaves. In 1795, France occupied the Seven Provinces of the Netherlands and this prompted Great Britain to occupy the territory in 1795 as a way to better control the seas in order stop any potential French attempt to reach India. 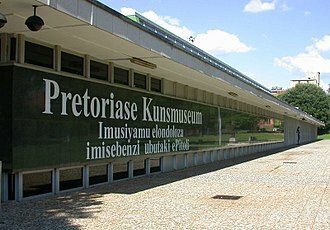 The park is managed by South African National Parks. The property is included as part of the UNESCO Cape Floral Region World Heritage Site, the park contains two well-known landmarks, Table Mountain, for which the park is named, and the Cape of Good Hope, the most southwestern extremity of Africa. Arguments for a park on the Cape Peninsula, centred on Table Mountain. The Table Mountain Preservation Board was set up in 1952, and in 1957 its recommendation to the National Monuments Board was accepted, in the mid 1960s, the Cape Town City Council declared nature reserves on Table Mountain, Lions Head, Signal Hill, and Silvermine. This laid the foundations for the Cape Peninsula Protected Natural Environment area, environmental management was still bedeviled by the fragmented nature of land ownership on the Peninsula. Following a big fire above the city bowl in 1991, Attorney General Frank Kahn was appointed to reach consensus on a plan for rationalising management of the CPPNE. 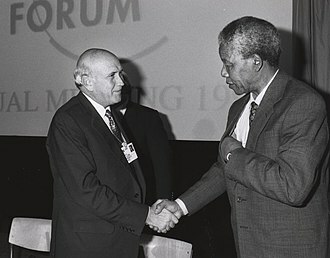 In 1995, Prof. Brian Huntley recommended that SANParks be appointed to manage the CPPNE, on 29 May 1998, then-president Nelson Mandela proclaimed the Cape Peninsula National Park. The park was renamed to the Table Mountain National Park. 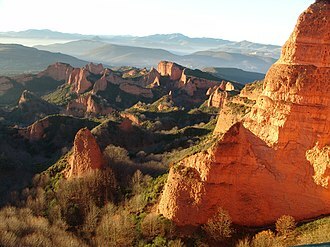 The park is not a contiguous area, the undeveloped mountainous areas which make up most of the park are separated by developed urban areas on shallower terrain. Thus the park is divided into three sections, as listed below. This section covers Signal Hill, Lions Head, Table Mountain proper, including the Back Table, Devils Peak, the Twelve Apostles, and Orange Kloof. It borders on central Cape Town in the north, Camps Bay and the Atlantic coast in the west, the Southern Suburbs in the east and this section was formed from the Table Mountain National Monument, Cecilia Forest, and Newlands Forest. Kirstenbosch National Botanical Garden is not officially part of the national park and this section runs northwest-southeast across the Peninsula from the Atlantic seaboard to the False Bay coast. It covers Constantiaberg, Steenberg Peak and the Kalk Bay mountains and it borders on Hout Bay in the north-west, the suburbs of Constantia and Tokai in the north-east, Kalk Bay in the south-east, and Fish Hoek and Noordhoek in the south-west. An astrolabe is an elaborate inclinometer, historically used by astronomers and navigators, to measure the inclined position in the sky of a celestial body, day or night. It can thus be used to identify stars or planets, to determine local latitude given local time and vice versa, to survey and it was used in classical antiquity, the Islamic Golden Age, the European Middle Ages and the Renaissance for all these purposes. While the astrolabe is effective for determining latitude on land or calm seas, the mariners astrolabe was developed to solve that problem. OED gives the translation star-taker for the English word astrolabe and traces it, through medieval Latin, to the Greek word astrolabos from astron star, in the medieval Islamic world the word asturlab was given various etymologies. In Arabic texts, the word is translated as akhdh al-kawakib which corresponds to an interpretation of the Greek word, al-Biruni quotes and criticizes the medieval scientist Hamzah al-Isfahani who had stated, asturlab is an arabization of this Persian phrase. In medieval Islamic sources, there is a fictional and popular etymology of the words as lines of lab, in this popular etymology, Lab is a certain son of Idris. 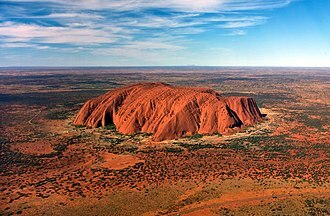 This etymology is mentioned by a 10th-century scientist named al-Qummi but rejected by al-Khwarizmi, Lab in Arabic means sun and black stony places. An early astrolabe was invented in the Hellenistic world by Apollonius of Perga, a marriage of the planisphere and dioptra, the astrolabe was effectively an analog calculator capable of working out several different kinds of problems in spherical astronomy. Theon of Alexandria wrote a treatise on the astrolabe. Some historians attribute the invention to Hypatia, the daughter of Theon of Alexandria, noting that Synesius. Astrolabes continued in use in the Greek-speaking world throughout the Byzantine period, about 550 AD the Christian philosopher John Philoponus wrote a treatise on the astrolabe in Greek, which is the earliest extant Greek treatise on the instrument. In addition, Severus Sebokht, a bishop who lived in Mesopotamia, Astrolabes were further developed in the medieval Islamic world, where Muslim astronomers introduced angular scales to the astrolabe, adding circles indicating azimuths on the horizon. 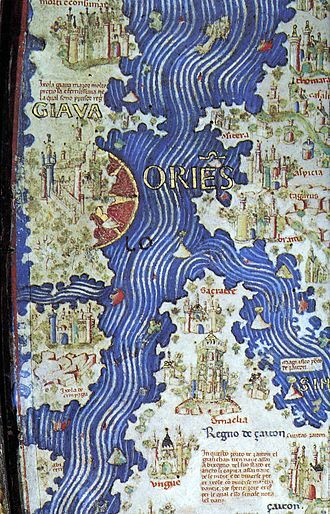 The Cantino planisphere, made by an anonymous cartographer in 1502, shows the world as it was understood by Europeans after their great explorations at the end of the fifteenth century. Vasco da Gama lands in Calicut on May 20th 1498. 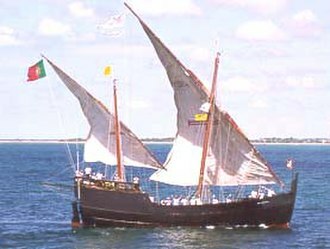 Prince Henry the Navigator, generally credited as the driving force behind Portuguese maritime exploration. 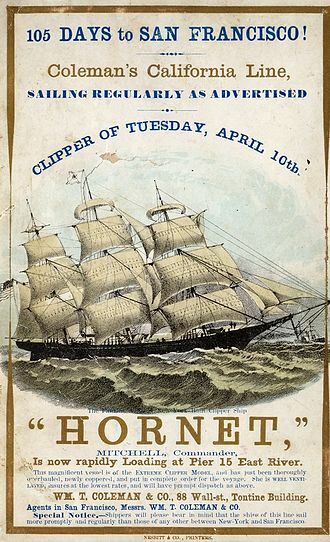 The clipper route followed by ships sailing between England and Australia/New Zealand. Smitswinkel Bay, between Simon's Town and Cape Point. A smartphone that can be used as a compass because of the magnetometer inside. Looking from behind the old lighthouse (at top left) to the new lighthouse (a sunlit speck of white very near the point). The lighthouses are 700 metres apart, and the new lighthouse 162 metres lower in altitude so as to remain visible during low cloud. A marker at Cape Agulhas indicates the official dividing line between the Atlantic and Indian oceans. 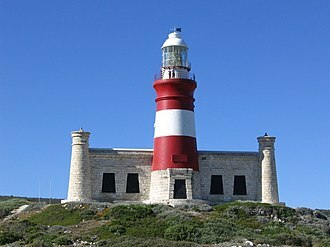 The lighthouse at Cape Agulhas has guided many ships around the cape over the years. 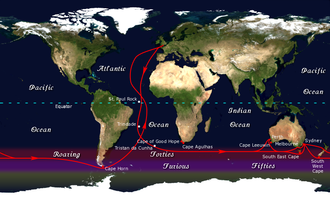 The courses of the warm Agulhas current (red) along the east coast of South Africa, and the cold Benguela current (blue) along the west coast, originating in the Indian Ocean and Atlantic Ocean respectively. Note that the Benguela current does not originate from Antarctic waters in the South Atlantic Ocean, but from upwelling of water from the cold depths of the Atlantic Ocean against the west coast of the continent. The two currents do not "meet" anywhere along the south coast of Africa. The red areas show major upwelling areas. The Benguela Current is on the southwest coast of Africa. Aerial view of Tel Megiddo site of the battle of Megiddo in 609 BC. Stele (monument) attributed to Ptolemy VIII, glorifying his rule and describing his support of Egyptian gods. The stele was written in Egyptian hieroglyphs as well as Greek. In 2012, the Swiss boat PlanetSolar became the first ever solar electric vehicle to circumnavigate the globe.